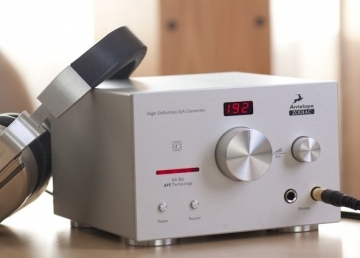 Santa Monica, Calif., November 21, 2011 â€”Â Pioneering audio companyÂ Antelope Audioannounced its Antelope Audiophile Special â€” a unique holiday price drop on its world-renowned, audiophile-grade Zodiac digital to analog converter (DAC). From now until December 31st, authorized U.S.-based Antelope Audio dealers will be offering the Zodiac at $1,295 â€” a $400 discount from its regular street price of $1,695. Antelope Audioâ€™s Zodiac D/A converter represents a groundbreaking addition to anyÂ listening set up. It contains the exact clocking technology used by top mastering professionals and engineers in the music, film and television industries. With the latest holiday discount, the Zodiac represents the most affordable entry point to help music afficiaonados hear the music as it was intended by top professionals such as Bernie Grundman of Bernie Grundman Mastering and Ward Hake, vice president of music at 20thCentury Foxâ€™s TV Music division. The Antelope Audio Zodiac helps audiophile consumers experience a new level of detail, sound clarity and warmth. Featuring a plug and play interface that connects seamlessly to a Mac, PC or just about any other digital media source, the Zodiac delivers 192kHz resolution audio, dramatically improving the listening experience on both loudspeakers and headphones. Antelopeâ€™s proprietary clocking technology, which is shielded from other electronic components to maintain a consistent temperature, is at the core of the Antelope sound and results in astounding accuracy, dynamics and stereo placement of the audio. Dealers participating in the Antelope Audiophile Special includeÂ audioMIDI.com,Soundsciencecat.com,Â SweetwaterÂ andÂ Vintage King. To learn more about the Antelope Audiophile special, or for complete product information, please visit one of Antelope Audioâ€™s authorized dealers orÂ manufacturer’s website. Antelope Audio is the brainchild of Igor Levin, renowned creator of the legendary AardSync and a number of innovations in digital audio and synchronization technology. In 2004, Igor created Antelope Audio, with the goal to take audio recording and music appreciation to the next level. The company is dedicated to helping people achieve high-quality audio both in recording studios and the home environment. Antelope Audio pioneered the adoption of the Atomic clocking inÂ Audio Master Clocks.Â The proprietary 64-bit Acoustically Focused Clocking (AFC) technology, together with the unique Oven Control, are considered to be the gold standard for professional recording and mastering studios. Antelope Audio has two product lines. The Integrity Line is the line ofÂ USB DACs, targeting both audiophiles and professionals. Isochrone Line offers professional master clocks and sync generators for audio and video applications. For more information, visit our website atÂ www.antelopeaudio.com.